Not Verified | Drop my wife and 2 girls to go see her brother in Holland. Airport hasn't changed since 2002. Cafe a joke. Have to pay airport tax for improvements. See none. Picked the girls up on Saturday evening not to late arrived early for 9.10 filght due in only 1 set of toliets in use. Also no were to get coffee/drink . Not even a machine. Very poor. "Another depressing day at Norwich"
✅ Trip Verified | Another depressing day at Norwich. The poor staff at check in really haven't been given the training to cope with passenger queues. They are far and away too busy in trying to extract every kilo of baggage excess from the travelling public. Had a slight argument about hand baggage weight allowance on KLM. The business allowance is 18kgs. Security was awful as usual. What is it with these people? Is it so strange that my laptop is wrapped in bubble wrap? Why is this such a cause for concern? Why should it be a point of argument as to which hip is an artificial one. When I say left hip and point with my left hand at my left hip, that's the hip I mean. If I were as rude on these pages about Norwich security as Norwich security are to me, I have no doubt that I would be in trouble. The passageway to the airside lavatories has been painted in a sort of pleasing battleship blue grey. It's an improvement so subtle that I cannot describe it. 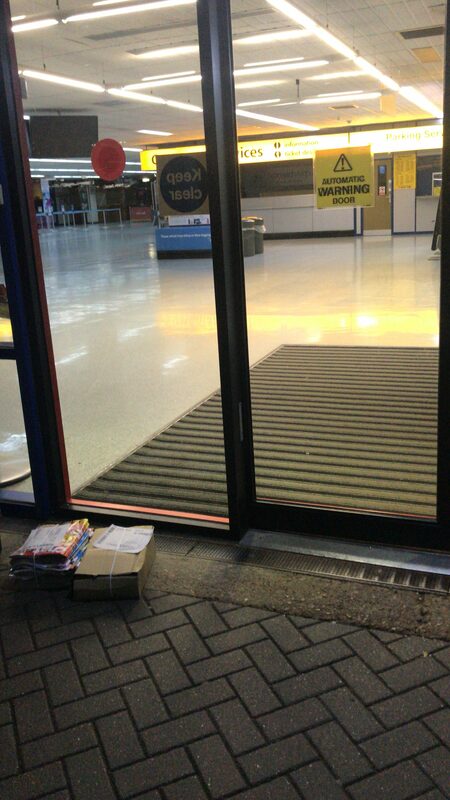 Norwich airport can be praised for its consistency of awful mediocrity. It really doesn't merit the appellation of airport. Tarmac strip with glorified hanger would do the official descriptions act justice. Not Verified | This airport could be so good if they operated efficient and stopped concentration on the money grab. 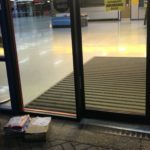 Airport development fee is stupid and a con, and the condition of the airport is way below Eastern European standards. Food is overpriced, toilets dirty. The security is a farce! Its like getting into fort Knox. More security staff than passengers and are so bored they want to root through every bag. The staff are rude and take themselves too seriously. 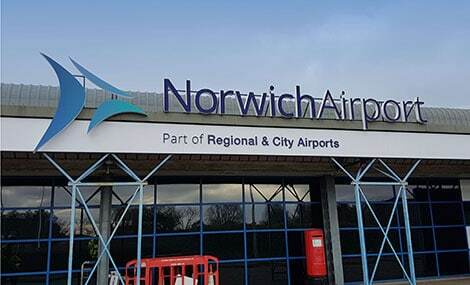 Its for reasons such as this airport that east Anglia remains a cut off, third world vestage of the UK. "bunch of jumped up jobsworths"
✅ Trip Verified | Security are a bunch of jumped up jobsworths. But what do you expect if you have nine people doing two peoples jobs. Impolite and search almost every bag I saw pass through as they have nothing better to do. Not Verified | This is the worst airport we have ever used. It is worth travelling by train to a London airport and we will do just that from now on. The hygiene is absolutely despicable and they rip you off at Norwich. The development fee is a way of the airport forcing you to pay for their own failings. The sooner a new airport opens in Coltishall or Great Yarmouth the better. Use this disorganised, disgusting, greedy and despicable airport at your peril. You have been warned. ✅ Trip Verified | Notified by KLM the previous night that my scheduled departure had been delayed by two hours and was sent a new boarding pass. On check in at business, was given significant scolding by check in staff who insisted that KLM should have been ignored and that we should have arrived at normal time instead of reschedule time as notified by carrier. If a carrier reschedules a flight, notifies the passenger and sends the pax a new boarding pass then what business is it of the airport staff to dictate times to the passenger. The matter has nothing to do with them. This is just the usual officious bad manners one has come to expect from all the staff who derive such thrills from working at this anachronism for an airfield. Wobbly trolleys prevailed as usual at Norwich, bring gloves so the rust on the push bars don't stain your hands and make sure you get a trolley with two front wheels, not one. Usual run down services, smelly lavatories, darned cold too. Must admit the entire departure hall smelt of bacon and eggs. Managed to find a spray sampler in the shop to counter the big eggy smell lurking in my sweater. Security had been its usual pedantic self. Just because my computer is wrapped in bubble wrap doesn't mean anything other than I care for my computer. Still, if it makes you happy, swab the thing for residue. Here we are in East Anglia in the middle of pheasant shooting. What would you do it you found a trace? They need to learn about profiling and a lot more too at Norwich security. On passing through security you are forced to face the shops. Try to stand up for your human dignity and buy nothing form bazaar owners who thrust such stuff in your face. "no improvement seen over the years"
Not Verified | The worst airport ever. Staff incompetent and ignorant. Airport overpriced and will knock all other airlines to raise price. 10 pounds to enter lounge, no improvement seen over the years. Boss should be sacked airport closed and turned into theame park. 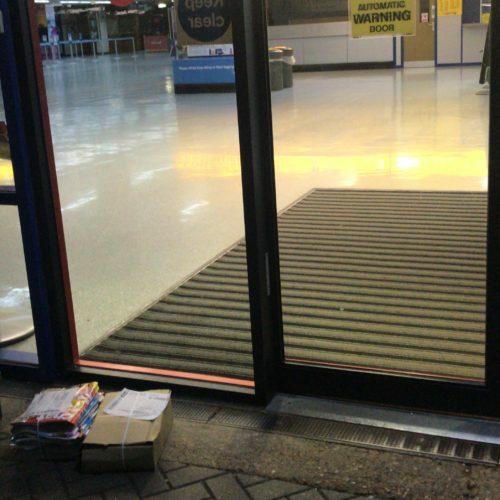 "they do need to sort themselves out"
✅ Trip Verified | Norwich is my local airport and whenever the option is available, I will use Norwich over Stansted or Luton. The convenience of travelling 5 mins by cab, as opposed to driving for 2 hours, costing me fuel, parking and extra time is a massive draw and has on occasion actually influenced my holiday destinations. I like the fact that it is a small airport, although when you are queue with 150+ people to drop your baggage for a package holiday, you may find yourself queue out to the entrance, as there isn't sufficient space in the hall. The baggage weighing can be fun. A kilo too much in one bag has to be transferred to another, even if that case is less than the manual handling limit and the total weight for all luggage for your party is within the limits. The development fee has been in existence for about 15 years now and I believe Exeter also has this. I also believe that the airports are or were owned by same company! On this trip, I found security to be of the level of jobworth justification. I had to do a dance because I forgot to remove my watch and my wife had to completely empty the baby's changing bag because she hadn't put the wet food pouches in a clear bag (there were no bags available). They also discarded the milk from one of the 3 bottles we had as it didn't pass their tests. Seeing as all 3 bottles were filled from same whole milk carton at home, this was quizzical. After we got through security, my wife rushed to change the baby's nappy before boarding (security took 40 mins at 5.30am on a Sunday, and the baby needed changing for most of that). On our return through Mallorca airport, we were shown how security should run. They simply swab your clothes and bag and do a chemical analysis. 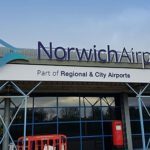 Will I use Norwich airport again? Yes. Will I be more inclined to drive to Stansted instead if destination calls for it? Probably Norwich isn't awful, but they do need to sort themselves out. Not Verified | Just atrocious. Avoid at all costs, no taxis, roof falling through, taxed to leave after paying a fortune for your flight. Bar closed when busy, staff rude, especially security staff even though they have very little to do. Just go to Stansted, so much better. Avoid, avoid, avoid. ✅ Trip Verified | Very small which is very advantageous. However, at departure we were forced to pay £10 for airport expansion. A surprise fee that neither we nor the travel agent knew about, that was so cheap and exploitive! It was so funny that we went home with a funny story. I’m not from there, a 4-day tourist, why would I pay for your expansion project? Moreover, nowhere this fee is mentioned, we found out after we checked in with the KLM counter, we just saw the funny machine and receipt scanner. Moreover, it’s my first time to wait in the street for an airport to open up! Can they at least have some seats outside!